I've been really enjoying crochet at the moment. It's nice to be branching out a bit with my crafting and learning new skills. Lucie is my latest pattern release and is a result of my recent crochet fascination. I love crochet borders, how graphic they are and how the shapes are different from what you can achieve with knitting. Lucie combines super fast knitting with a crochet border to give a lovely, soft and snuggly shawlette with a big loopy crochet border. Lucie is a % type pattern so there is no need to count stitches, and this allows you to make the most out of whatever size skein you have. I recommend having at least 150g of DK or light worsted yarn on hand. As written its a lovely little size for wrapping around your neck - the loose gauge makes the garter stitch really lofty and soft to wear. Lucie is suitable for any type of yarn but looks particularly nice in gradient yarns. 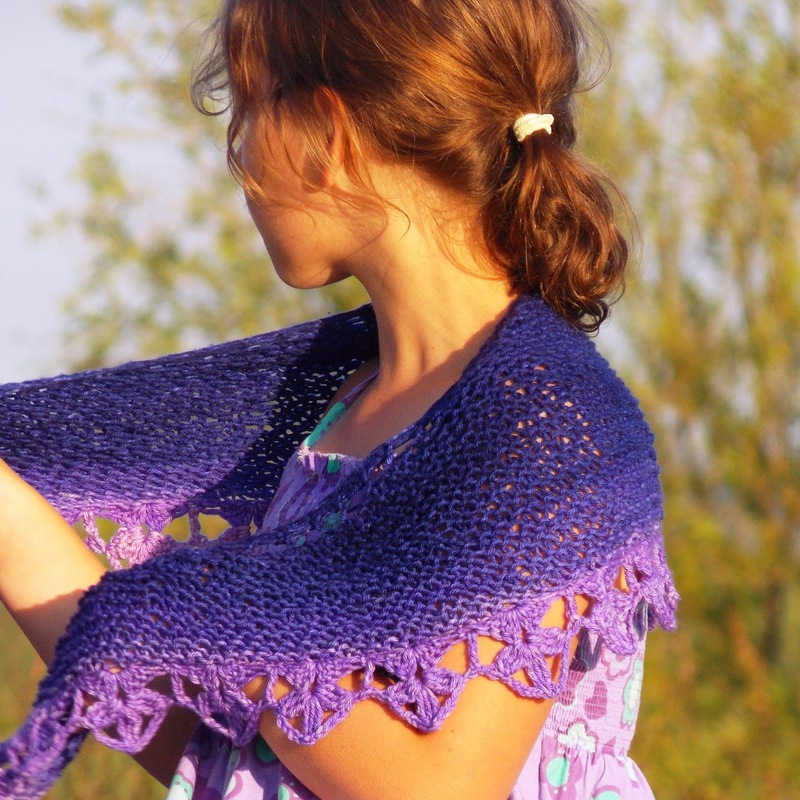 This sample was knit using Tri'Coterie DK Merino SW in a lovely purple gradient. Because the body is knit top down you get the standard gradient effect on the body and then a subtle side to side effect on the edging. It's quite a pretty effect which I really like.